Are you a new cheer coach? Or are you just looking for a new cheer uniform supplier this year? ACD Sports has been working with cheerleading coaches and league cheer coordinators for over 25 years! Plus, we have coached our own squads and have been on the front lines dealing with parents. We know what you are going through!! We offer cheerleading uniforms, poms and dance wear available in all school colors, fast in-stock cheer outfits or custom made sublimated cheerleading uniforms. Cheerleading packages usually include skirt, shell, briefs and we let you build your own package by adding all the extras. Take a look at all our cheer categories. We add new outfits all the time! If you need help, just shoot us an email and we'll be happy to find you the best outfit for your budget. Let us know your colors, number of girls, ages, when you'll have their sizes and when you need the uniforms. Our customers say we do magic sometimes! Fast uniforms with cute lettering, packaged for each girl and in time for the first game! Hope to hear from you soon! Join the coaches that return year after year for the best service in the cheer industry! Matching shells, skirts, fit tops & liners from Alleson, in youth and adult sizes. Great selection of in stock cheer uniforms in many colors, from traditional shells and pleated skirts to poly spandex Cheerflex close to body fit tops and skirts. 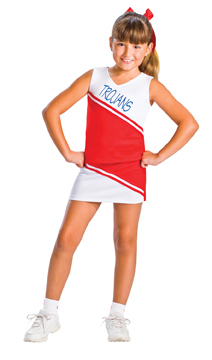 Teamwork cheer uniforms offer lots of colors and all sizes from girls xxs up to ladies 2XL. Ships quick! Cheer Uniform Packages for your squad or entire league! Start with a basic package of a cheer shell, skirt & briefs, upgrade with lettering, poms, bows, ribbons, socks, crop tops, etc. All school colors - quick shipping - great prices! In stock cheer shells & skirts, mix & match, all school colors, several styles. Girls XXS to Women's XXL. Some items no minimums. Gorgeous sublimated cheer or dance uniforms that you design in any colors! Girls & womens sizes. No minimums. Two week production time! Cute cheer uniforms from Pizzazz - buy shells, skirts or a Pizzazz cheer package! 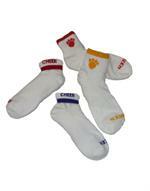 Adorable cheer uniforms for youth leagues and elementary school from Cheer Kids by Motionwear. Booty Shorts in all colors & styles including zebra, hearts, stars, glitters with matching tops & sports bras. Great warm up jackets and pants in all colors, including Aurora jacket & pants above!